The Lady Tigers came out and were keeping contact the the Lady Badgers on Sunday. And with 4:31 left in the first quarter, the Lady Tigers were only down 9-7.From there, that would be the closest the Lady Tigers would get. 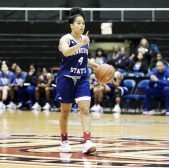 The Lady Panthers would end up scoring 11 more points in the quarter to TSU's one point and the Lady Tigers, despite four points from sophomore Jaden Wrightsell, were down 18-8. 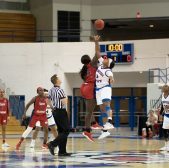 In the second quarter, the Lady Panthers continued to put their stamp on the game, extending their lead to twenty points, outscoring the Lady Tigers by ten points again like they did in the first quarter of the game. After half, the Lady Tigers would play the Lady Panthers even in both quarters. 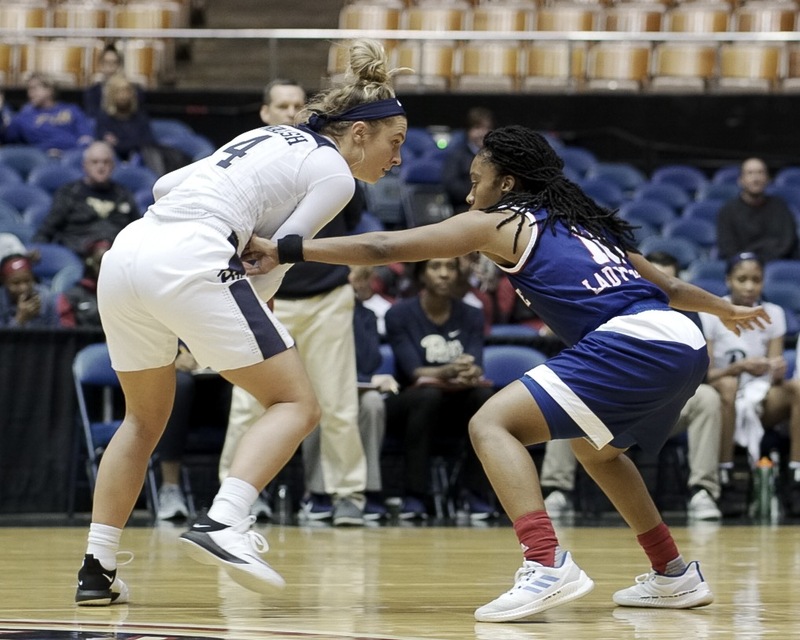 However, after the way Pittsburgh controlled the game in the first half, the Lady Tigers were unable to come back and would fall to the Lady Panthers in the end. 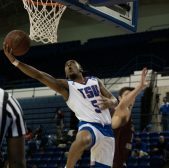 The Lady Tigers were led again in scoring by Taylor Roberts with 21 points. The sophomore averaged 23 points, 5.7 rebounds and 2.6 assists on her way to making the Challenge in Music City All-Tournament team. 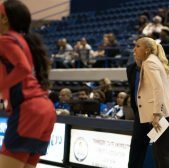 Coach Kern was very complementary of her team after the three games in three days: " I think the kids came out and competed every single night and I could not be more proud of them. " The Lady Tigers head back home to take on South Alabama on Thursday night. For Coach Kern, it will definitely be a great thing to play their first home game. "We're finally going back home and will be on our home floor. That will be fun." The Lady Tigers tipoff with South Alabama starts at 6 pm CST.